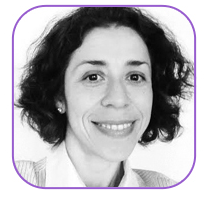 Lourdes Chabrol, attendee at the Global Careers Fair, was delighted to have an opportunity to share with us her personal experience and feelings about the International Public Sector and what brought her to participate in our virtual event. 1.What attracts you to working in the International Public Sector? I have a long standing interest in international development issues, I’ve been always interested by initiatives promoting social equity and the possibility to help others. The core features promoted by a sustainable development trajectory align with my values, more than those of a business-as-usual one. I mean, I want to be part of any initiative promoting inclusive and sustainable growth. Progress can’t be focused only on short term profitability, but it also has to ensure that all members of the society have access to healthy start in life, good nutrition, healthcare and access to education to be skilled members of their communities, both in the workforce and as citizens. With all information and communication and social media tools available, everyone at any moment can be involved in brainstorming and providing new ideas to support these objectives. 2. What have been your experiences to date in this sector? I have worked for the International Labour Office, at the Regional Office for Latin America and the Caribbean based in Lima (Peru). There I was in charge of supporting training programmes addressed to SMEs and micro-entrepreneurs, conceived to boost their business management skills. We delivered the project from A to Z, including the research and selection of pertinent grassroots management training material tested in Africa, localising it to the Latin American context, production of the training programme (modules and monitoring system), and organisation of training transfer sessions for future trainers in the region. It was an incredible experience, both at HQ and field level, very rewarding because this training programme was perceived, by final users, as an extremely useful resource to guarantee their daily income. 3. What are you doing at the moment in your career? I have spent the last years working for the private sector, coordinating educational and corporate communication projects for an e-learning publisher. I have acquired a rich experience and developed key management skills. However, my desire to return to my former professional roots remains intact and even stronger, so I have decided to get focused and seek actively a new professional challenge in the international development field. I want to spend my energy and neurons to find creative ways to ensure inclusive and sustainable growth. I am following relevant training courses in sustainable development, programme management and content strategy for non-profit organisations. In parallel to my job seeking, I work as an occasional volunteer for French humanitarian organisations, and I am indeed an active follower of International Public sector trends via the social media. This is actually how I discovered “Global Career Fair” and I am just glad to have let my curiosity follow this lead! 4. What are your aspirations longer term? I am ready to put my academic, professional and trilingual profile background at the service of defending social innovations causes. I would therefore welcome the opportunity to work for an international organisation, preferably based in Paris, such as UNESCO, OECD, UNEP or any other relevant institution, and contribute actively with the implementation of their programmes worldwide, managing all deliverables in a timely, professional and accurate manner. I consider that I have the conviction, determination, empathy and positive attitude needed to become a reliable organisation member. My fieldwork experience in developing countries of Latin America opened my mind, made me aware of poverty consequences and reaffirmed my keen interest in sustainable development, educational and humanitarian initiatives. 5. What hobbies and activities do you enjoy outside work? I love music, dance and discovering world cultures in my current city of residence, Paris. Paris is a wonderful city to discover extremely rewarding cultural experiences, we find all the countries here, at any unexpected place/time, so when I am in need of inspiration I take my map and go for a walk to discover the world…in Paris!